Some recent reflections on doing my dissertation in comics form have just been published as part of a Media Commons collection on doing alternative scholarship in the academy. Fellow contributors include Cathy Davidson, Jade Davis, Gregory Donovan, and Amanda Licastro. 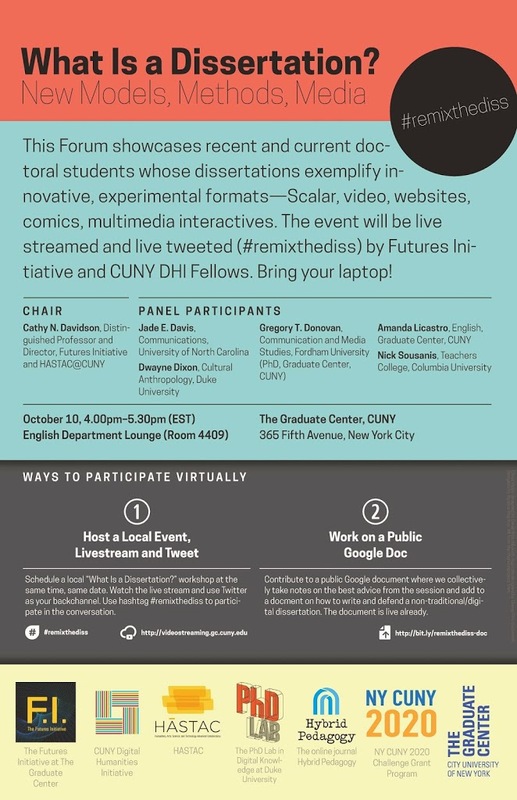 This is a continuation of a conversation we had together at CUNY in NYC last fall (which I posted info about here and video documentation from it here). I think this is a pressing and valuable conversation in academia, and I’m pleased to able to contribute to the ongoing dialogue. See all the essays here. 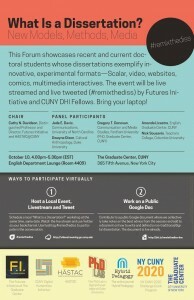 I was also included in a related Media Commons series titled “What’s the Point? The Dissertation as a Process and not a Product,” put together by colleagues from Imagining America – Alexandrina Agloro, Elyse Gordon, and Johanna Taylor. In addition to a wonderful conversation from scholars who are pushing what scholarship can be and who it is for, they’ve also created a “Choose Your Own Adventure”/PhD guide. It’s a diverse collection of voices and perspectives and worth exploring for those looking to move away from scholarship as usual. See it all here. These essays join a previous series titled “Beyond the Dissertation as Protomonograph,” for which I’d previously shared a lengthy reflection delving into the steps along the way of doing my dissertation. My piece is here and you can see the entire set of essays here. In LA-based writer’s magazine LitReactor‘s “Bookshots” review, Brian McGackin wrote an incredibly thoughtful and moving review of Unflattening that was also presented in a rather unique and I think quite fitting format. I greatly enjoyed how he took readers through his own thought process in encountering and understanding the work, starting from little prior knowledge. As a former arts reviewer, I think i’m particularly appreciative of reviewers who take the time to grasp the work as deeply as he did. See it in full here. 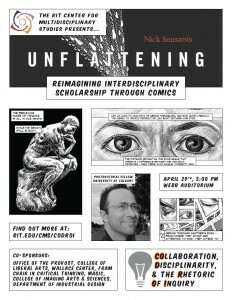 On a comics-specific front, Unflattening was taken up by the 2 Guys with PhDs on the recent episode of their Comics Alternative Podcast. You can listen to their podcast here. 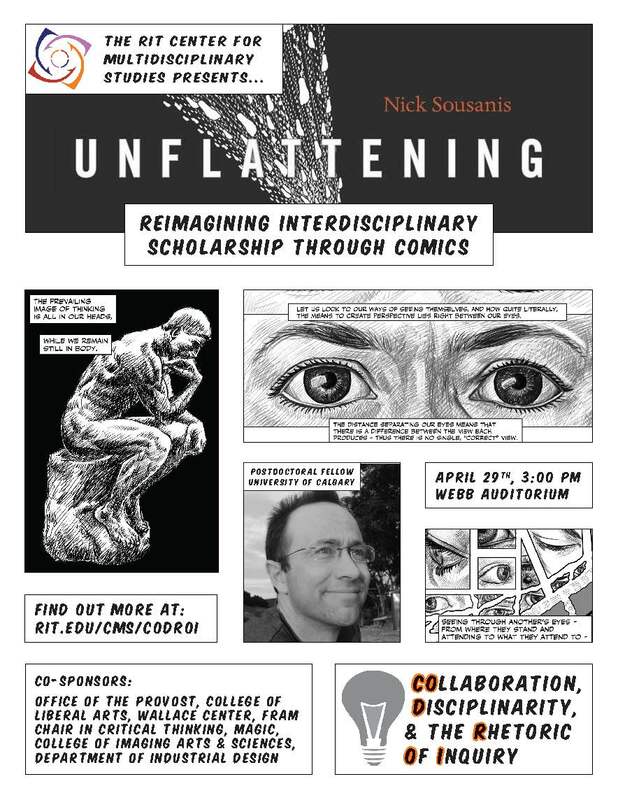 Also, on the comics front, Nicholas Theisen, comics scholar at University of Iowa, published an incredibly in-depth reading of Unflattening on his blog. He came quite specifically from the perspective of comics studies, and took it in directions I hadn’t anticipated, which gave me some good things to think about and I appreciate the lengths he went to explore it. Check it out here. 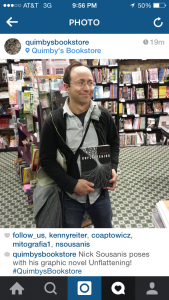 My friend and colleague Stergios Botzakis, professor at the University of Tennessee, gave Unflattening some kind words on his Graphic Novel Resources blog (so we’re not really calling this a review). 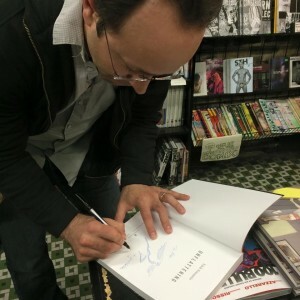 Stergios does important work researching and implementing comics in classrooms setting – so I highly recommend going to his site to look at all the reviews of comics (mostly for young readers) – an invaluable resource! Finally, celebrated Stanford professor of English Andrea Lunsford, who had been in town in Calgary to give an inspiring talk on the future of writing and literacy in a digital age, shared a few words about Unflattening on her blog. I’d met professor Lunsford at a talk I did at Stanford a while back and appreciated the chance to reconnect, and was greatly moved by her thoughts on education and young learners. She does extremely important work. If you’re not familiar, I definitely recommend getting to know her work – it’s extremely important for thinking about how we approach writing (and I think quite in line with the discussion of alternative scholarship above). I’ve posted all reviews and related media here or you can check out Harvard UP’s site. Last week, I was in Chicago for the annual American Education Research Association’s (AERA) conference – presenting, sharing, being part of the swirling conversation that is a 15,000 attendees conference. As overwhelming as that can be – it proved a thought-provoking experience all around. As a special treat, thanks to comics scholars Gene Kannenberg and Brian Cremins, I got to visit Quimby’s – a fantastic shop overflowing with comics, zines, and alternative books, and signed copies of Unflattening they had on hand! 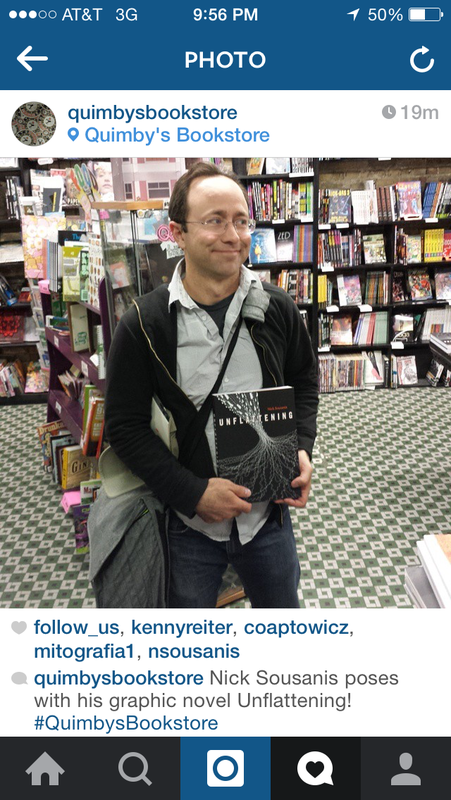 A fun geek out moment – and I’m grateful for the opportunity. I capped off the extended trip with some talks about the work and hands-on comics activities with faculty and parents at Glenbard High School. Terrific responses and I’m excited to see who comics and visual thinking is being embraced by educators and parents alike. Looking to teach with Unflattening? Professor Steven L. Berg of Schoolcraft College in Michigan will be teaching it in his classes this fall, and has already set up a wiki for the class. He welcomes conversations with others thinking to do the same and more info is on the wiki. I’m thrilled to see it in use already and excited to see where students leap off and and make their own discoveries!